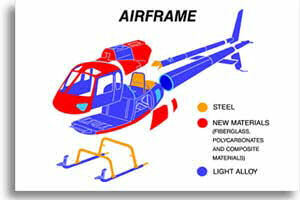 The AS 350B3 is "the high performance" version of the single engine Ecureuil range. Powered by a Turbomeca Arriel 2B turbine engine it is equipped with the FADEC system (Full Authority Digital Engine Control).It is totally suited for operations in conditions such as mountainous areas or hot countries or for very demanding missions, performance wise. The AS350 B3 outclasses all other single engine helicopters for performance, versatility, safety and competitive acquisition and maintenance costs. It excels in hot conditions and very high altitudes, and broke records when a standard production aircraft landed on the top of Mount Everest in 2005 (altitude: 29,029 ft / 8,848 m). Eurocopter is taking this aircraft to a whole new level with the enhanced AS350 B3e. The powerful, high-performance AS350 B3e is designed to carry out the most demanding missions in the most extreme weather and geographical conditions. Its exceptional lifting capability, high endurance, extended range and fast cruise speed make the AS350 B3e the leader in its class. Another world record: An AS350 B3 climbed to 3,000 meters / 9,900 ft in 2 minutes 21 seconds and made a world record landing on Mount Everest. 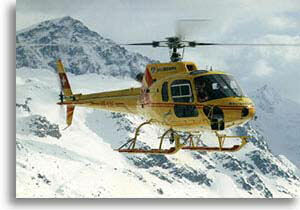 The AS350 B3e is a member of Eurocopter's rugged and proven Ecureuil family. Some 4,900 Ecureuils have been delivered in 98 countries for some 1,600 operators. These aircraft have cumulated more than 22 million hours. More than 900 AS350 B3 series are currently in-service worldwide, and are mainly used for high performance missions in "high and hot" conditions. With the optional "kit to increase Internal Gross Weight"